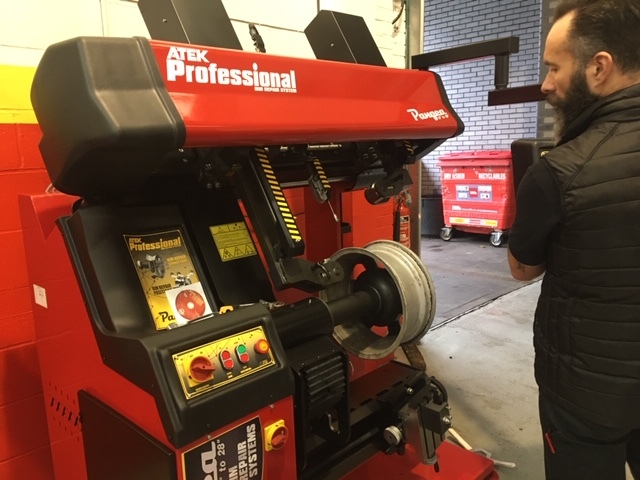 Whether you are looking for new tyres for your vehicle or are just enquiring into wheel straightening, we are now able to perform wheel straightening with our new technology. We can perform a free check of your wheels if you’re concerned about them. Why do I need Wheel Straightening? With potholes being unavoidable in the traffic conditions, your wheels are bound to pop into them from time to time which can lead to them becoming damaged. You may also have a kerbed wheel from clipping the kerb at some speed or by pulling up against a kerb whilst parking. Damaged wheels can ruin your tyres and result in upset handling of your vehicle as the vibrations from a damaged wheel can affect your steering and suspension. We can give you a free wheel check to ensure the wheels are in correct working order. If they just need straightening over replacing with an expensive new wheel, we have revolutionary equipment to ensure they perform as new. Get in touch to enquire about our wheel straightening and wheel repair services.